More details have been released about the upcoming fourth series of The Diary of River Song, coming this autumn courtesy of Big Finish. The new series, which was originally announced last year, is set to star Alex Kingston as the time-travelling archaeologist alongside Tom Baker as the Fourth Doctor for the first time. Melody Malone finds herself in a Castle, with an assortment of strange companions. But guests are being murdered, one by one. Time is running out for a mystery to be solved. And Franz Kafka is hiding something in the attic. “For this series, we wanted to give River an adversary to match her, a real threat, so producer David Richardson and I set about thinking. For a time, we talked about possibly using the Daleks, but in the end decided on something original, so we created the Discordia. Joining Kingston and Baker in the latest series is Fenella Woolgar as Professor Jemima Still of Luna University, an old ‘friend’ of River’s. Woolgar – who Doctor Who fans will also know as Agatha Christie from the Tenth Doctor episode The Unicorn and the Wasp – reprises her role of Professor Still from the Fifth Doctor Main Range audio Ghost Walk. 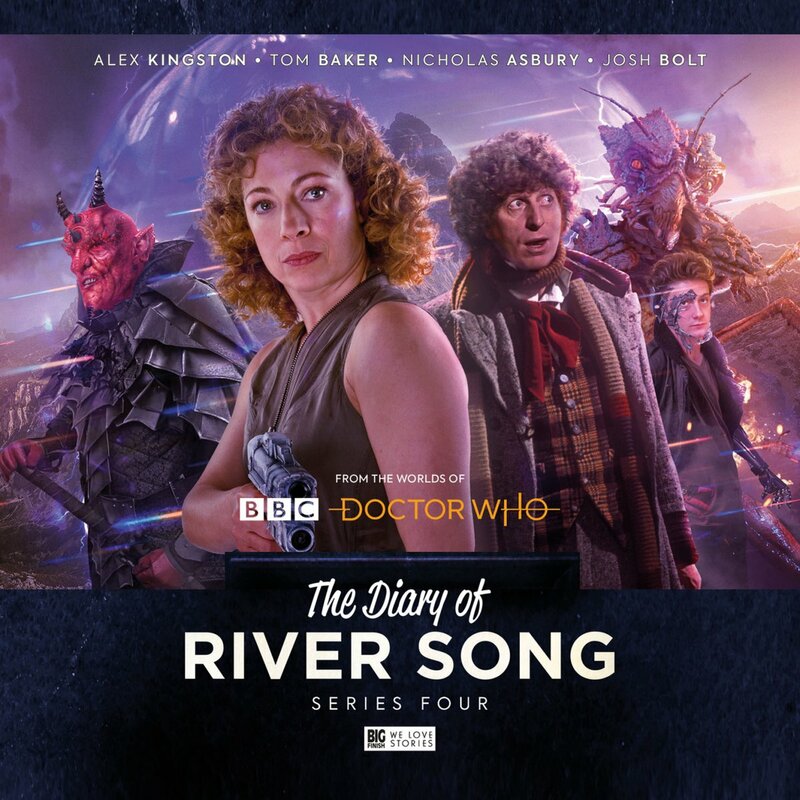 Series four of The Diary of River Song is available to pre-order now from Big Finish ahead of its September 2018 release at £23 on CD and £20 on digital download. Series five of The Diary of River Song will follow in January 2019, and will see River face no fewer than four incarnations of the Master. Series five can be pre-ordered individually at £23 on CD and £20 on digital download, or in a bundle with series four for £45 on CD and £40 on download.